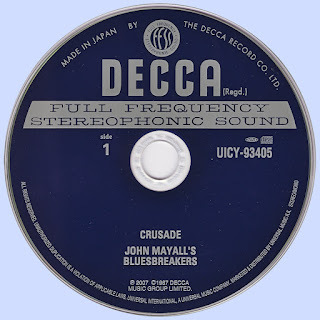 Mayall was outraged by the untrumpeted death of J.B. Lenoir, and Crusade was his attempt to force the blues down the throat of the mainstream (“I hope you’ll join forces with me,” he writes in the sleeve notes). With Green gone, his eye had settled on a teenage Mick Taylor, who brings equal parts soul and swagger. 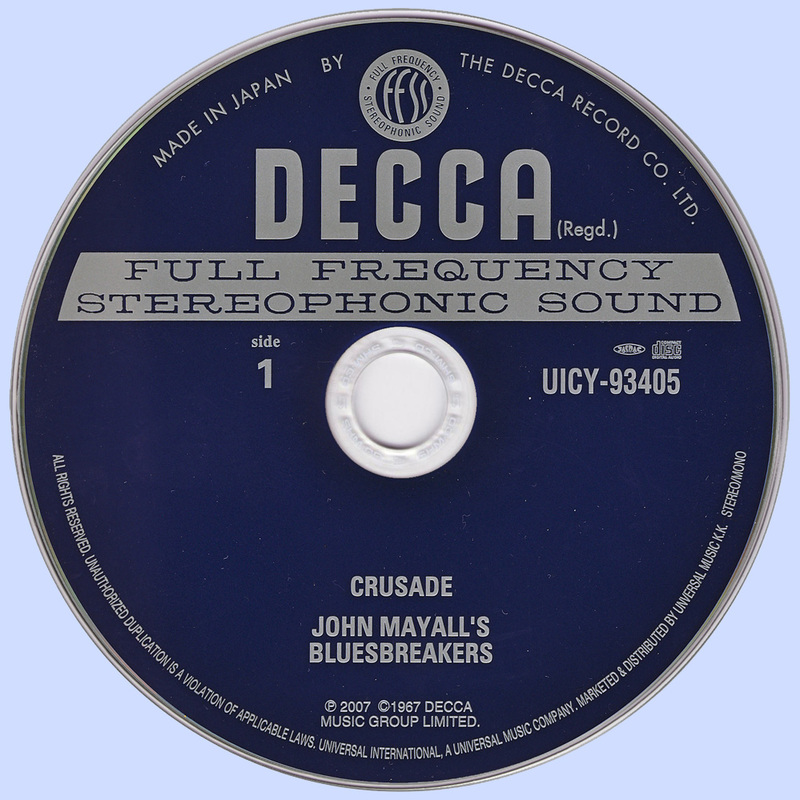 Crusade took just seven hours to record and mix, which perhaps accounts for its wham-bam brilliance. The band tips its hat on The Death Of J.B. Lenoir, and Taylor arguably pips Clapton’s Hideaway with his jaw-dropping instrumental Snowy Wood. 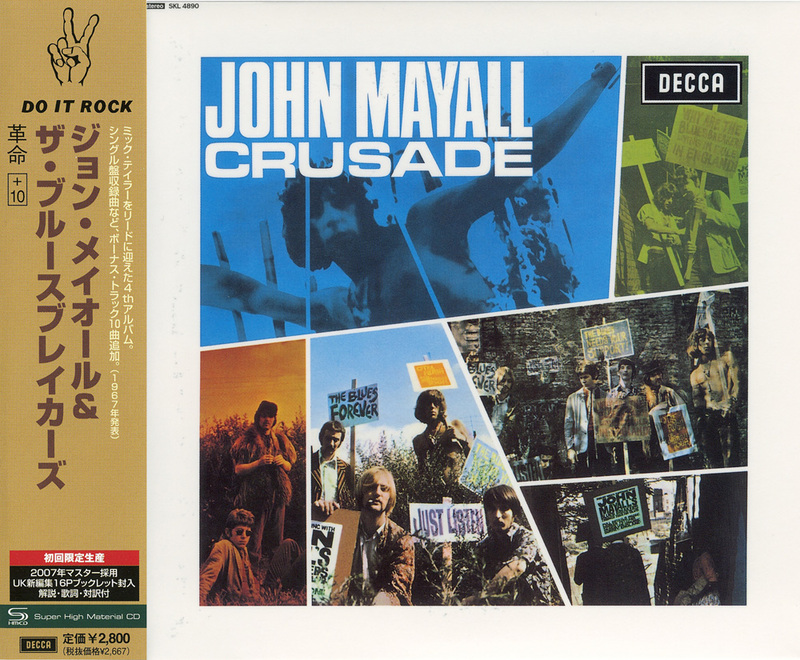 The final album of an (unintentional) trilogy, Crusade is most notable for the appearance of a very young, pre-Rolling Stones Mick Taylor on lead guitar. Taylor's performance is indeed the highlight, just as Eric Clapton and Peter Green's playing was on the previous album. The centerpiece of the album is a beautiful instrumental by Taylor titled "Snowy Wood," which, while wholly original, seems to combine both Green and Clapton's influence with great style and sensibility. The rest of the record, while very enjoyable, is standard blues-rock fare of the day, but somewhat behind the then-progressive flavor of 1967. Mayall, while being one of the great bandleaders of London, simply wasn't really the frontman that the group needed so desperately, especially then. Nevertheless, Crusade is important listening for Mick Taylor aficionados.